87% percent of buyers nationally recently purchased their home through a real estate agent. In NY, 93% of buyers purchased their home using a real estate agent. Buying a property isn’t just about the house, its about the neighborhood. Making a decision about where you want to live is a crucial part of the home buying process. You are buying a lifestyle. Are there parks nearby? Playgrounds? Do houses in the neighborhood hold their value? These are just some of the questions that prospective buyers ask. 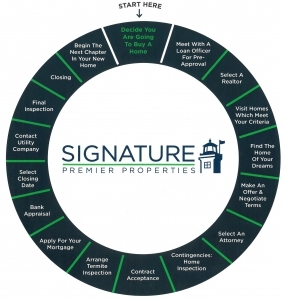 As the neighborhood expert, your Signature Premier Properties agent will be making sure that you have as much information as possible in order to make a good decision about the home you select. Did you know that as a buyer, you can have representation? There are many benefits to working with a buyer’s agent. Professional buyer representation services are offered by our Signature agents. Just ask!